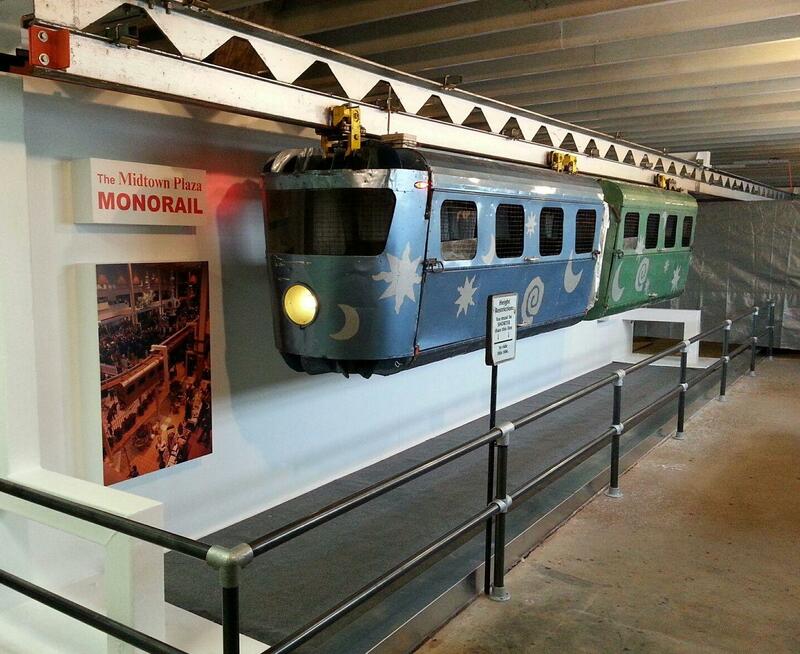 The Midtown Monorail is back this holiday season as a featured exhibit at the New York Museum of Transportation in Rush. The small trolley cars made their last lap around Midtown Plaza in Rochester on Christmas Eve 2007, after a nearly 40-year run. The cars were placed in storage until last summer when the city of Rochester decided to turn over two of the cars to the Museum of Transportation. Museum Trustee Jim Dierks was happy to take the monorail cars off the city’s hands. “We’re a transportation museum, and that involves moving people and things around. In this case, it moved kids. I am sure it built a lot of memories over the years,” Dierks said. He said the exhibit creates nostalgia for local people who remember riding the monorail during Midtown’s heyday. Dierks said patrons who come to see the exhibit should not expect a ride; the monorail is on a “static display” for nostalgia and viewing purposes only. Dierks said it would be too difficult for technical and other reasons to make it a moving monorail again. The only trolley railroad in the state, the New York Museum of Transportation features exhibits that include horse-drawn and highway vehicles, model trains, a steam locomotive and other items. You can visit the Midtown Monorail and other exhibits every Sunday, 11 a.m. to 4 p.m., at 6393 East River Road. Get more information at www.nymtmuseum.org or call (585) 533-1113.